PS Engineering in Ballymoney supply steel railings throughout Northern Ireland. 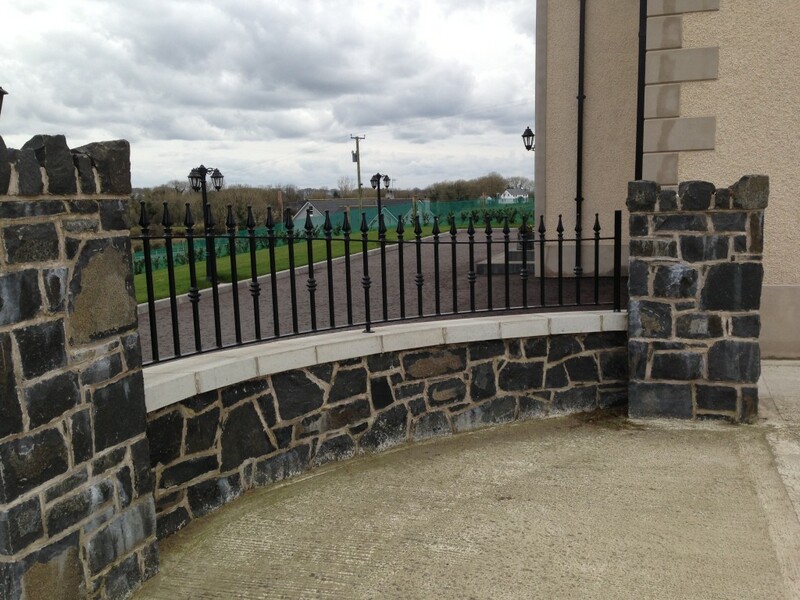 Railings from PS Engineering are designed and manufactured in Ballymoney, Northern Ireland and the team will also install your railings as per your request. If you want your garden, house, yard or property more private or secure PS Engineering can supply metal railings to your specifications. Size, colour, design of your choice. Straight or curved. Need it to match an existing gate – we can do that. Railings from PS Engineering are designed to your specification and we can also make gates to match. These black railings have been powder coated and look good on the stonework wall. Powder coating your steelwork protects it and comes in a wide range of colours, click here to see a full colour chart. Below you can see the sort of details which we can achieve here at PS Engineering. 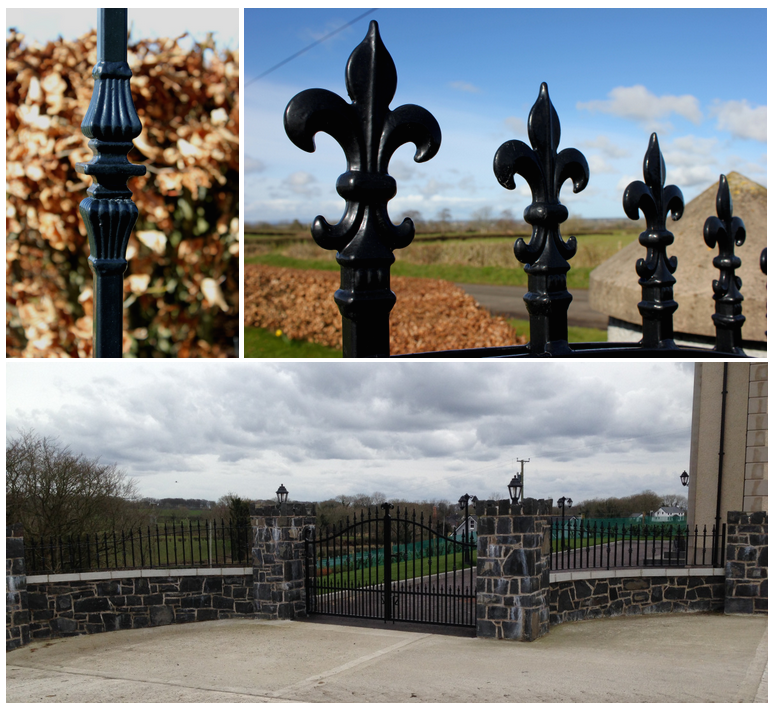 We love the fleur-de-lys designs on the right which looks great when carried from you entrance gates through to your railing as well. So if you are thinking of making your home more secure with railings and gates or want PS Engineering to match your new railings to the gates that you already have then get in touch with us here at 07739715754 or visit us in Ballymoney.